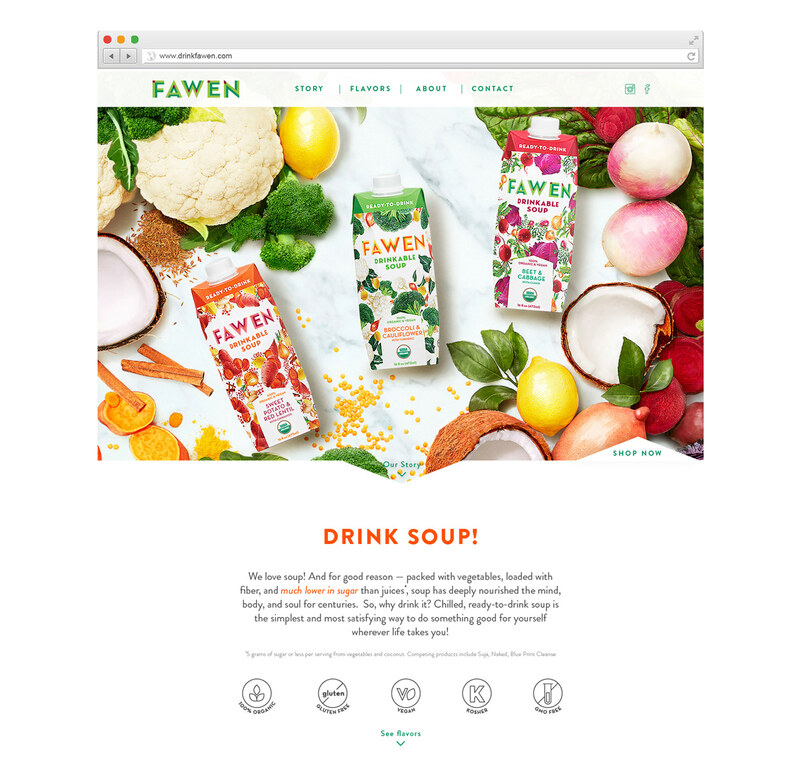 FAWEN is an organic drinkable soup. 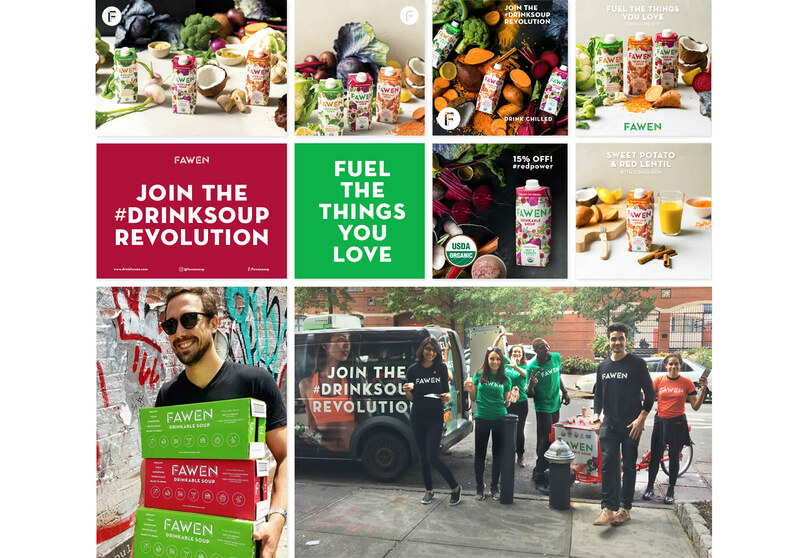 It is also the result of Amanda Bowen and Fabio Fossati – FA (Fabio) + WEN (Bowen) – passion to create a nutritious and delicious power snack, using pure plant energy eco-friendly recyclable packaging. 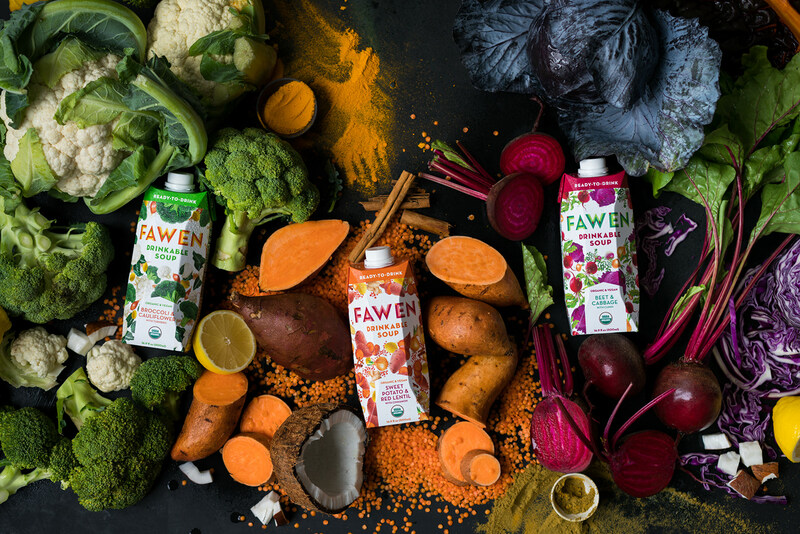 We designed Fawen’s visual identity to ensure it maintains impactful, recognisable, and distinct communications. 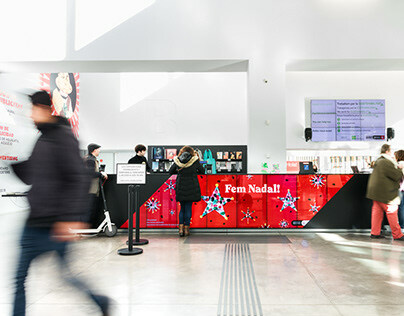 Its unique identity, color palette, and typographic style create an original framework for the brand, helping it distinguish itself amongst competitors. It is meant to be used to inspire and motivate creative expression, both strong core values of the brand. We worked with the photographer Aiala Hernando to capture the products in their right element through her clear lens. 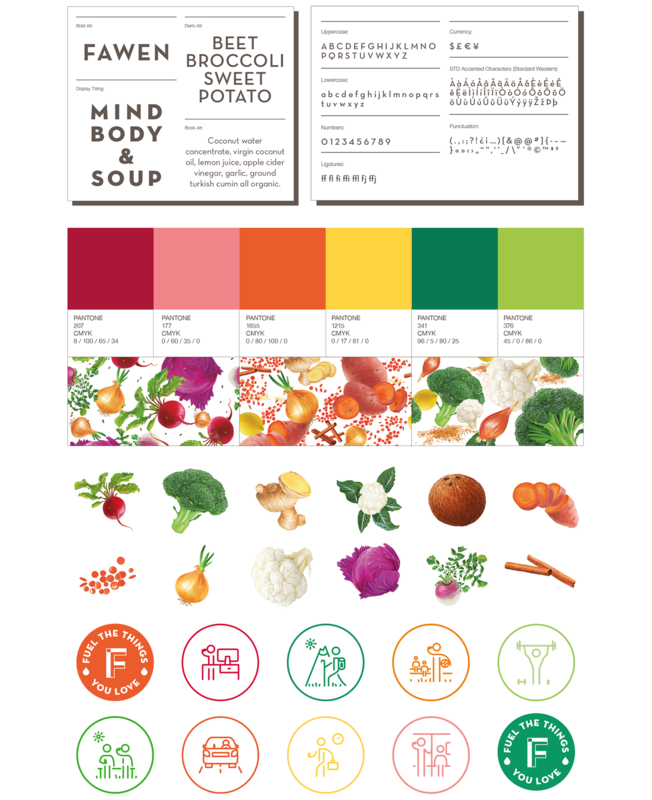 The products were composed in different still life, shot in natural light, showing the true beautiful colour and energy of the ingredients and soups. A lifestyle approach and the brand values guide the photography, combining a fun creative fine balance of a modern brand. 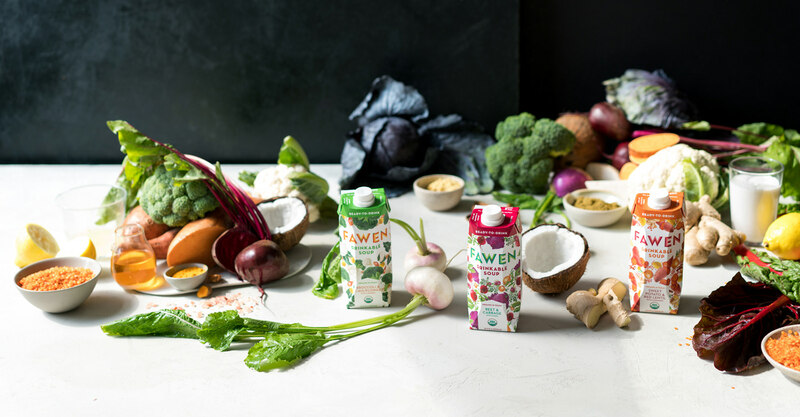 The role of the visual universe created for Fawen has been fundamental to transfer the brand to a website. 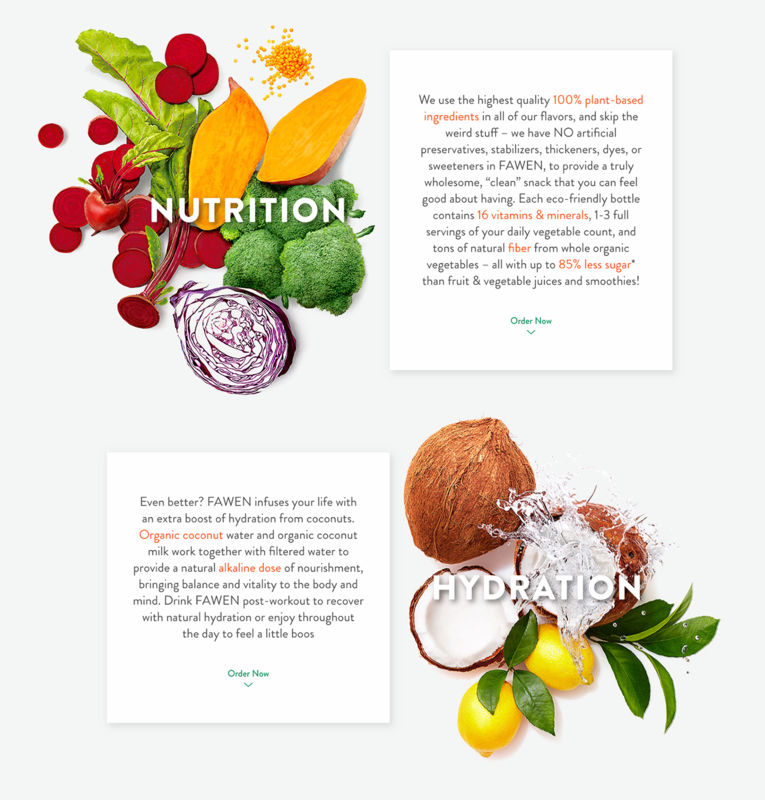 We designed a bespoke page where the imagery could have the space and time it deserves. The brand audience needed a site where they could fully understand the brand values and get to know close each product. 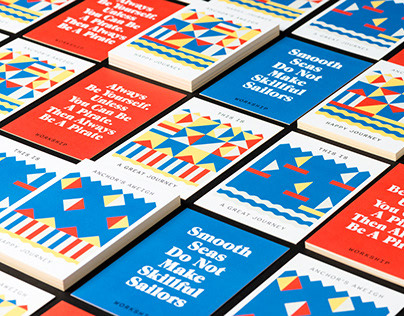 We conceived a digital platform where content and shop work coherently within the necessities of the brand. 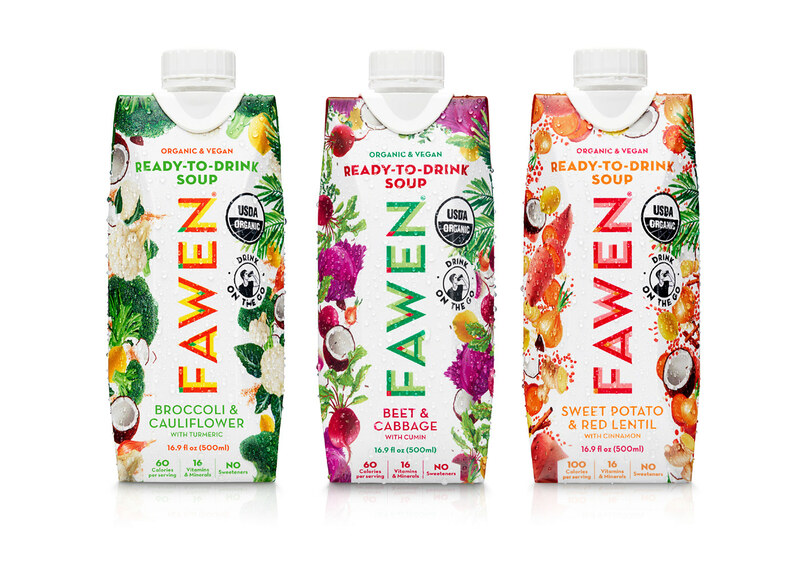 Visual Identity, Art Direction and Packaging Design for Fawen Drinkable Soups.